Welcome to 230 The Tramyard, a bright and spacious two bedroom apartment located in this ever popular development in the heart of Inchicore. Presented to the market in good decorative order throughout, the property overlooks a private secluded courtyard. It also has the added attraction of two Luas stops within walking distance and is within easy reach of both sides of the city centre and the M50, easing your daily commute. Positioned on the second floor, this two bedroom apartment enjoys a bright southerly orientation and extends to 59 sqm/635 sq.ft. approx. The accommodation comprises briefly; entrance hall with 2 storage closets, living room, kitchen, two double bedrooms and bathroom. The property further benefits from a designated parking space. 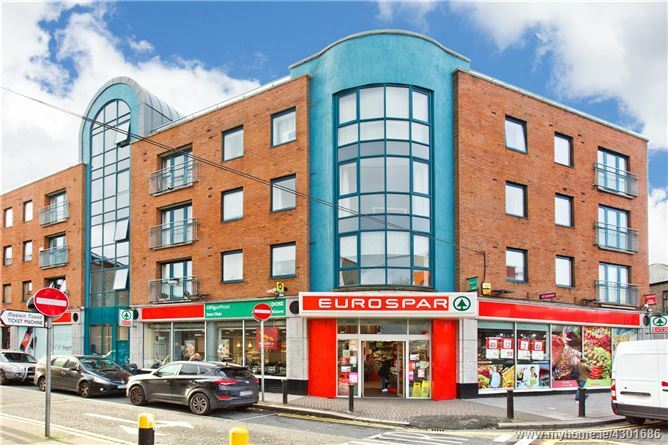 The Tramyard is located within a secure gated development, situated off Emmet Road in the heart of the popular Inchicore village. It has the added attraction of two Luas stops, a number of main bus routes and the city centre all within close proximity with both St James Hospital and the Phoenix park are also within a stone's throw. The M50 is also easily accessible easing your daily commute. 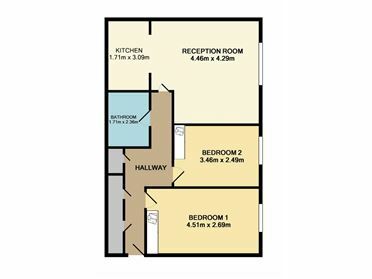 Suitable for investors or owner occupiers alike, early viewing comes recommended! 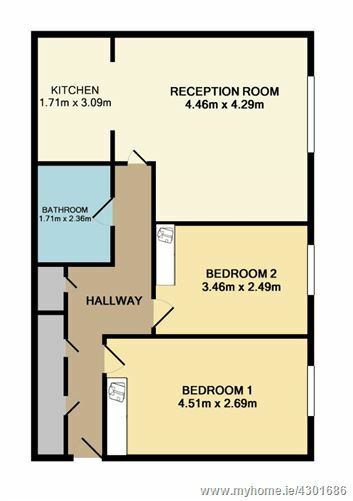 Kitchen 1.71m x 3.09m. Tiled floor, tiled splashback, integrated hob/oven, plumbed for washing machine.